Goose fat is actively used in cooking and folk medicine. Currently, you can find it on the shelves, but it can be melted and home. Goose fat is most often produced as a result of peretaplivanii fat poultry. Depending on the origin of fat there are three of them: internal, surface and stomachs. Take the carcass of the goose and rinse the outside and especially inside. Ocin and feathers remove. 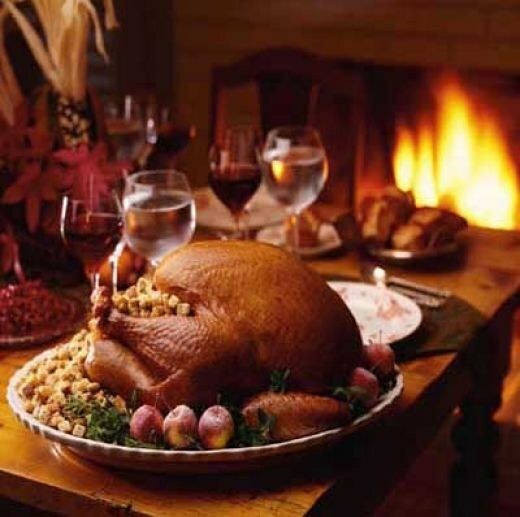 Have the bird very carefully, your task is not to damage the intestinal tract, otherwise bitter unpleasant taste can not be avoided. Remove the goose fat and raw, it can be distinguishable by the yellowish color and characteristic appearance. Fat can not be melted, and to send to the freezing. To do this, place it in a container and place in freezer. if you are freezing large quantities of product, use cardboard boxes in which place the parchment or boxes based on artificial materials. If the tallow froze, before vitapal it is necessary to remove the parchment paper and chop the block into small pieces (30x30 mm) to improve initial transfer of heat and reduce the heating time. To actually vytopna fat use the "water bath". Place the pieces of fat in a colander, under it check the corresponding diameter pot and all this fixture is secure on the container with water. Bring the water to a boil and cover the bath with a tight-fitting lid. Heat the oil for 5-7 hours. Don't forget to add water. Can melt fat, placing the pieces into a thick-walled pot. Capacity Express in a pre-heated oven for 3-4 hours after which pour the melted mass, remove the cracklings and connective tissue and put in the oven for another hour. In industrial production, use double-walled boiler with a periodic action. The capacity of these boilers is 500-1000 kg. Drips the fat with steam under pressure 0,6-0,8 MPa. Usually load about 10-20 pounds of fat. The temperature is adjusted to 130°C-135°C, not above, so as proteins will be burnt and will appear unpleasant smell. After evaporate of connective tissue moisture. At the end of the separated water, resulting in a chemical way. To get the resulting pairs, it is advisable to put on the duplicator fan. To complete vtopku when connective tissue was processed into bacon red-brown color, floating on the surface. In the process of making fat production necessary to produce sensory analysis, to determine the acid and peroxide value, the analysis of the initial burning and trial Krissa. Color actually goose fat should be a Golden yellow, if darker, the fat is likely burnt. Bacon will also be different burnt taste. Vytopna is in General 3-4 hours. Keep goose fat in a dark and soulless room, as it easily takes all the alien scents. The shelf life is 6 months. 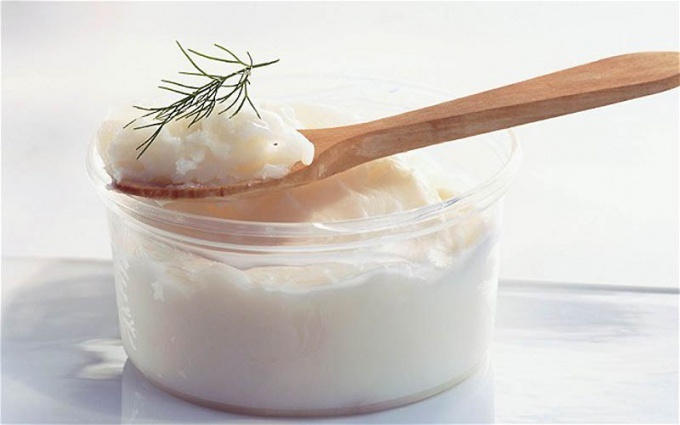 Since ancient times melted goose fat was considered in Russia as a folk remedy for the prevention and treatment of many respiratory and skin diseases. Thanks to natural components it is a good and safe cosmetic. But, more importantly, goose fat is perfect for cooking a variety of dishes. Due to the fact that goose fat is not as hard as fat other birds and animals, to melt it much easier and faster. To make the process of melting more quickly, cut the fat into small pieces. Take a clean pan, preferably with a thick bottom, to fatlike weight is not burned in it. And rascality it on high heat. The pan must be dry, otherwise the grease will splatter in all directions. Once the pan is hot, add a small pinch of salt. This is spray grease, and food cooked after kindling fatbut will not burn to the pan. Make the fire as small as possible, put in a pan of goose fat and wait until it is completely melted. You can cover the pan with a lid. If you want to melt a large amount of fatand spread it on the pan in small portions and get received fat with a spoon into a glass jar. You can also strain it through cheesecloth. After the fat has cooled, close the jar and refrigerate. Use melted fat, as a base for grilling meats and vegetables. Thanks to natural ingredients it is completely safe for use in food. Melted goose fat can also be used in the manufacture of in home protective and nourishing masks for the face. This slightly warmed fat should be mixed with a few drops of camphor oil and apply for 20 minutes on the face. Then remove the fatand tissue and wash with warm water. Good to use the melted fat for the treatment of eczema or dry skin of the hands and feet in the winter. Thanks to the warming properties, it perfectly removes inflammation, softens the skin, making handles smooth and silky. Spread fat on the skin just once a day, but to achieve maximum effect, you should do this regularly.